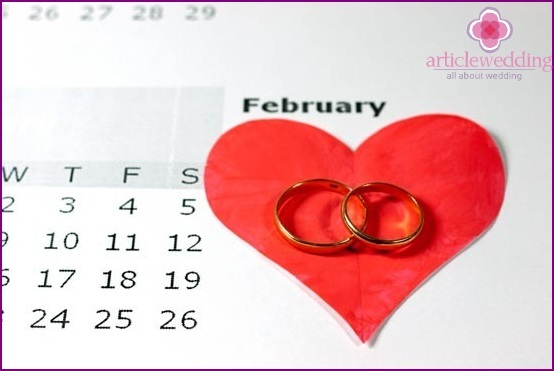 How to choose a wedding date? 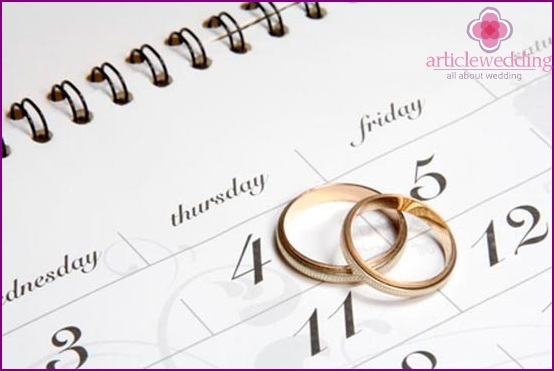 Home>helpful hints>wedding time>How to choose a wedding date? 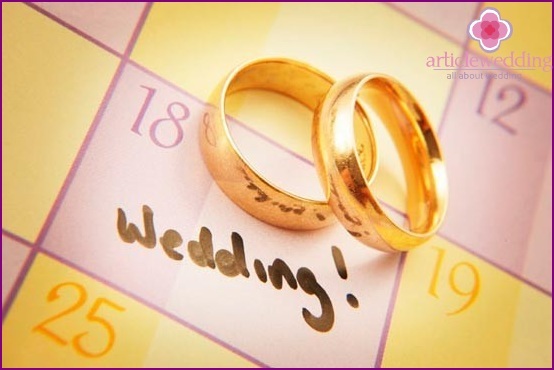 At first glance, there is absolutely nothing complicatedin selecting a suitable date for the celebration. However, in reality it turns out that your idea of ​​the perfect wedding is not the same as weather or unearmarked list at your favorite restaurant dates. And how to maneuver between superstition moms and busy schedule the bride and groom? Let's slow down and safely choose a wedding date. What "ideal "wedding? All your life you dreamed of a wedding in the spring whenflowering cherries, but as luck would have it, the window has already taken hold before the summer and loved the pores to wait almost a year. Or vice versa, the flowers should be about to dissolve, and the entire organization of the magnificent celebration was a maximum of a month. What to do: set records, or wait a year? 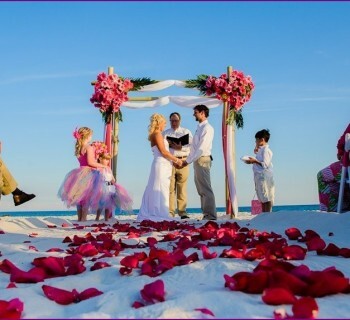 You may want to compromise and recognize that nature is beautiful in any season, as the "ideal" wedding will make your love. A wedding in the fall or winter - not a bad option! First of all, decide how much time youavailable. On average, the degree of preparation of the wedding takes 5-6 months. However, if you know exactly what you want, you can manage to organize everything for 2-3 months. The main thing - a clear plan a wedding and ready ideas. Let's say you have decided to arrange a wedding in the fall. Of course, you imagine the golden trees, moderate temperatures and summer cobweb. But forecasters stubbornly insist that rainy autumn will stand. In this case, you have two options: to hope for good luck or to postpone the wedding until the summer. However, the wedding portal offers www.articlewedding.com not abandon pans, and just keep the "powder dry": Consider a backup plan if the weather decides to play a cruel joke. For example, prepare a multi-colored umbrellas for a photo shoot or a cozy tent. The special charm of marriage is guaranteed! Do you take into account all the Christian positions? Do you look at the lunar calendar or the composition of a personal horoscope? Will you choose a day in September, following a belief, or calculate the square of Pythagoras? Or maybe you are advised to combine all at once? In this case, be sure: you will never select the wedding day. Of course, for the wedding in the church of the Christian calendar should be considered. In other cases, the only question of prejudice. If you do not believe in them, do not let anyone persuade you. In addition, if the bride and groom busy schedule, it will be the "window" in the schedule, not my grandmother's superstitions. Just choose the day that tells the heart. In most cases, the first wedding daymark on Saturday, and the second - Sunday. This is convenient for most people, because then the celebration falls on a weekend. 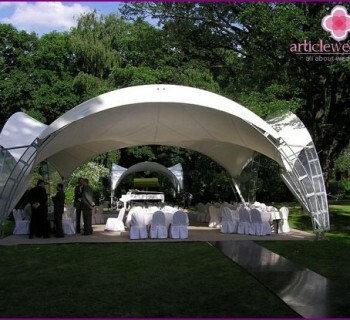 If you are planning a large-scale wedding with an impressive list of guests and should be done. On the other hand, imagine: half good restaurants have someone busy for six months, charismatic leading promised to hold corporate parties, and in "the same day" in the park runs a dozen brides. Annoying, is not it? 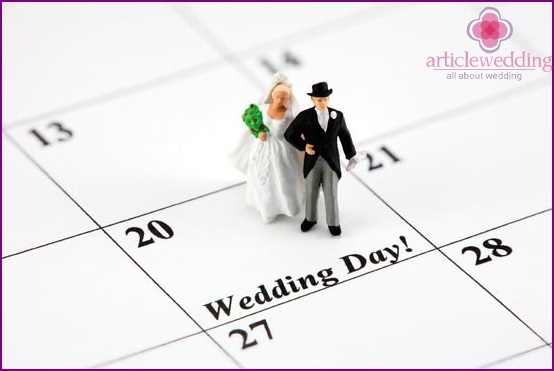 If you are not crowded wedding "tasteful"www.articlewedding.com site claims that you will appreciate the charm of organizing a wedding on a weekday. In addition, during the week you can spend a photo session or even a wedding, relieving the main date. Weekday good as in the case of the organization of the wedding in a short time. You still can not decide? Think, perhaps, in a few months, the day of the birth of his beloved grandmother, who always brings good luck to you, or, for example, the wedding date uncles and aunts, who have lived together all their lives, and perhaps soon the date of your acquaintance. These tips sends destiny, and therefore the date of promises good luck and happiness. Preparations for the wedding begins with the selection date. Go to the case with a cool head and common calculation. Wedding - celebration of an individual plan. Listen to the heart, and you'll see what the date will be "right".